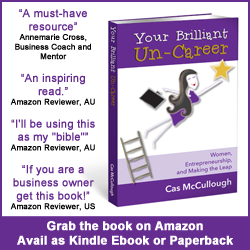 Welcome to Episode 19 of the Your Brilliant Un-Career Podcast Show! David Smith has lived the high flying corporate life, and helped build billion dollar companies but he’s also been shot at, accused of being a spy and left feeling like he barely saw his growing family. A couple of years ago, David gave the James Bond life away in favour of a more balanced life and a dream to start his own business. Hold onto your seats! David’s making the leap story and how he is transforming the world now will keep you riveted. David is a disrupter of conventional business models. He designs and develops collaborative platforms to redirect funds back to the community and to those organisations who help those in need. David is a former COO of an ASX200 company who was integral in building a multi-billion dollar enterprise and has lived or worked in the US, UK, Europe, Asia, Middle East, Central Asia, Former Soviet Union and Australia. David is also a Fellow of the Australian Institute of Directors (FAICD) and has served on international and national company board of directors. His book #DisruptMeNow will be released later in 2015. Being a startup entrepreneur means you don’t have 500 staff at your beck and call. You have to be resourceful. Keep pivoting! Keep innovating. Don’t just stop where you’re comfortable! If you have planning and then execute well, there’s no limit to what you can achieve. When you’ve done the numbers, there’s no reason why something shouldn’t take off as fast as you want it to. If you don’t already have high level connections, having courage, belief in yourself and confidence in what you’re offering will help you get past the gate keepers. Be prepared for people to say “no” but don’t be offended. You have to learn to hustle! Even if a new connection doesn’t need you or they’re not a good fit, they probably have friends who could use your services. Chapter 4 of Your Brilliant Un-Career talks about putting your plan in place. I have done a terrific interview with The 7 Day Startup author Dan Norris on the topic of startups. You can access that for free here, along with 32 other business building podcast interviews, templates, worksheets and motivational affirmations.